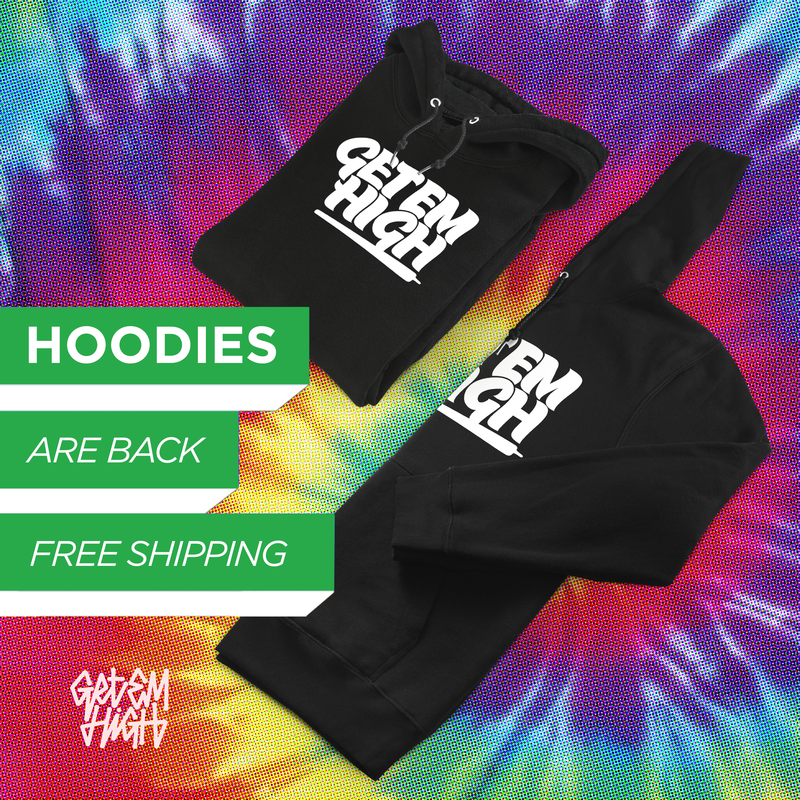 April 20th has long been the day that weed smokers around the country (and world) come out of hiding to celebrate our favorite plant, puff tough, and let the government know that there are millions of otherwise law-abiding citizens who use cannabis. Ever since legalizing recreational use in 2012, Denver has become the epicenter of the celebration as host to several full on festivals, as well as a barrage of concerts around the city the entire weekend. While it would be impossible to hit every show that’s going down, we’re sure as hell going to try. Check out our weekend preview of the events we’re looking forward to the most, listed chronologically. 420 Eve on the Rocks will be the perfect way to set off the weekend. With an all star line up of notorious weed smoking hip hop and reggae acts including 311, Method Man & Redman, Afroman, Flatbush Zombies, RDGLDGRN & more, all at one of the world’s most legendary venues, this is sure to be one for the books. For tickets and info click here. 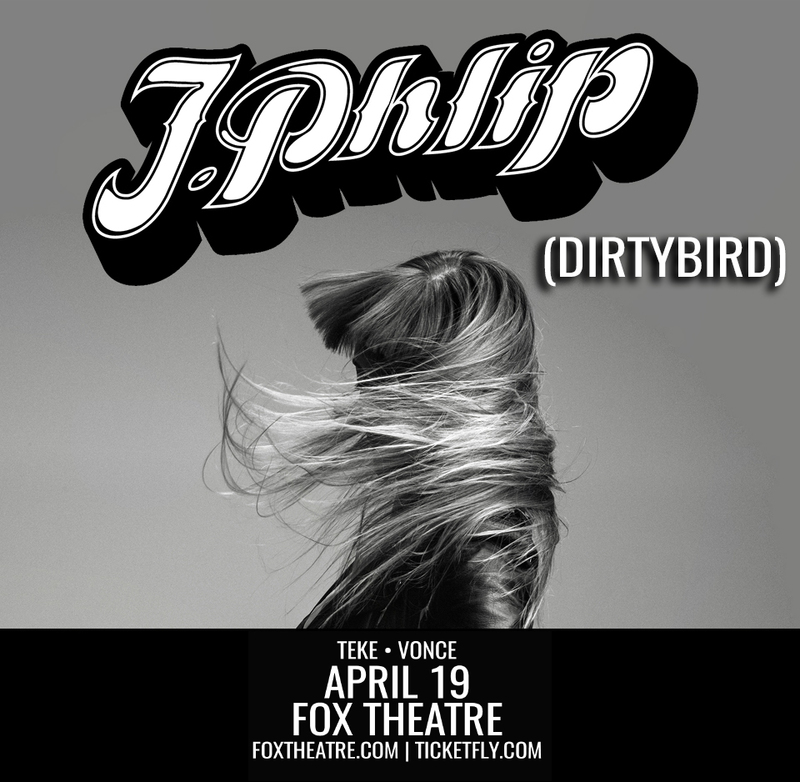 J.Phlip has been steady on the come up ever since she linked up with Claude Von Stroke and joined the Dirtybird label a few years back. Known for her immaculate song selection and unique productions, J.Phlip is becoming one of the most revered DJ’s on the circuit, and paving the way for more and more lady DJ’s to take over a male dominated game. If you’re in Boulder don’t miss what’s sure to be a great night. For tickets and info click here. 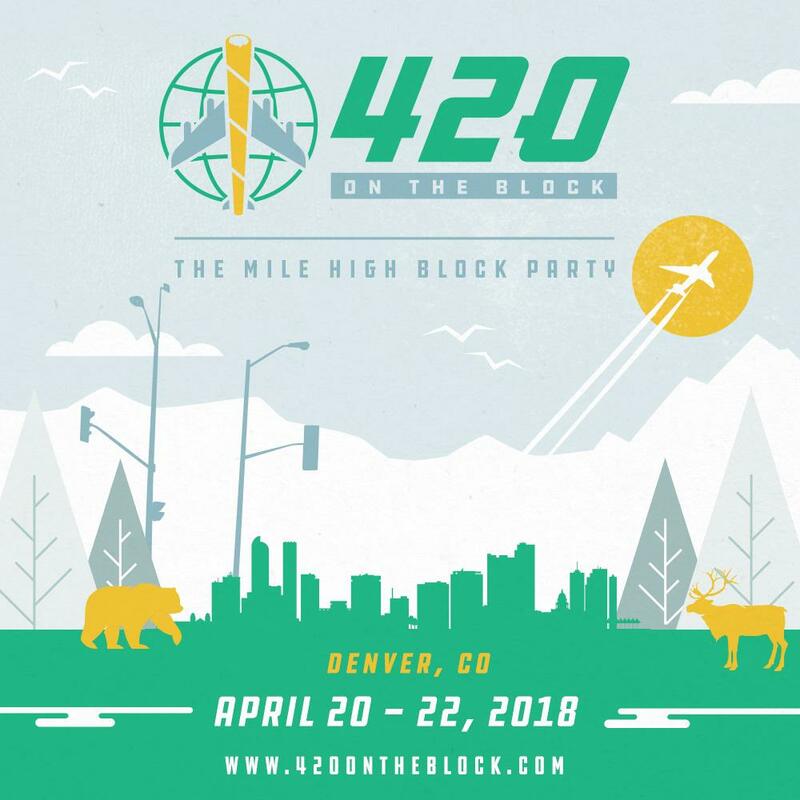 One of the most promising new editions to the high holiday festivities this year is 420 On The Block, a full blown 3 day festival being held at the Fox Street Compound in southern Denver. With an eclectic line-up including headliners Matisyahu, Action Bronson, and Break Science Live Band, as well as support from the likes of Evidence, Karl Denson’s Tiny Universe, RDGLDGRN, Micheal Menert and more this is a perfect event for any music lover looking to party. They also have a bunch of afterparties around the city happening all three nights. For tickets and info click here,, and head to our facebook page for your chance to win a three day pass! 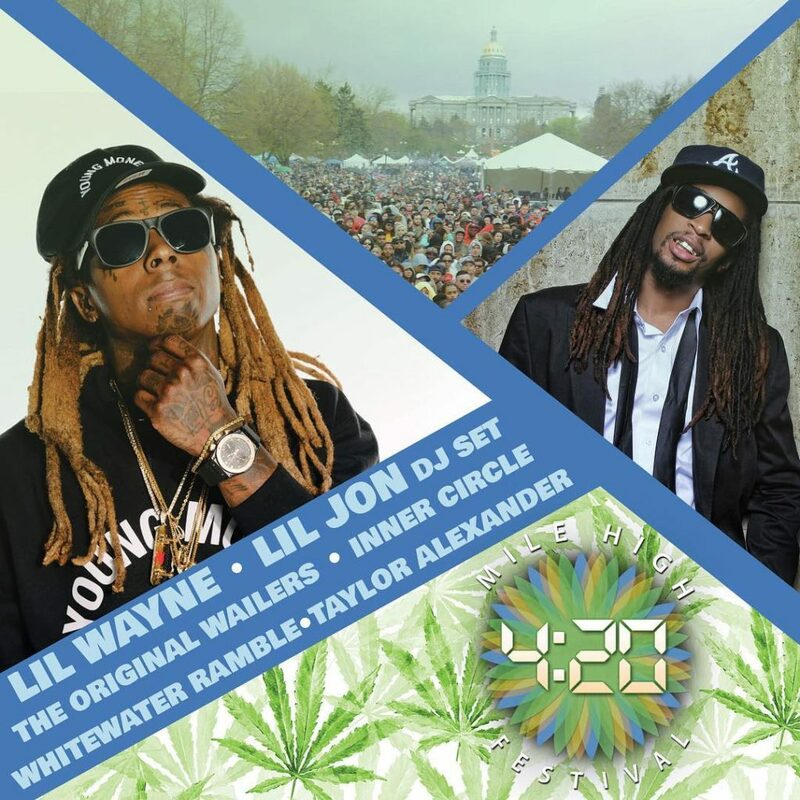 Every year at 4:20 on 4/20 it goes down in a major way at Civic Center Park in Denver. There’s been a few different organizers, but every year there are epic musical performances, a variety of vendors, and of course tons of public blazing. This year, it’s none other than Lil Wayne headlining the show, with support from Lil John (no relation) as well as The Original Wailers and a bunch of other premier national and local talent. Did we mention it’s 100% FREE?! We’ll see you there. Register for FREE ENTRY here. 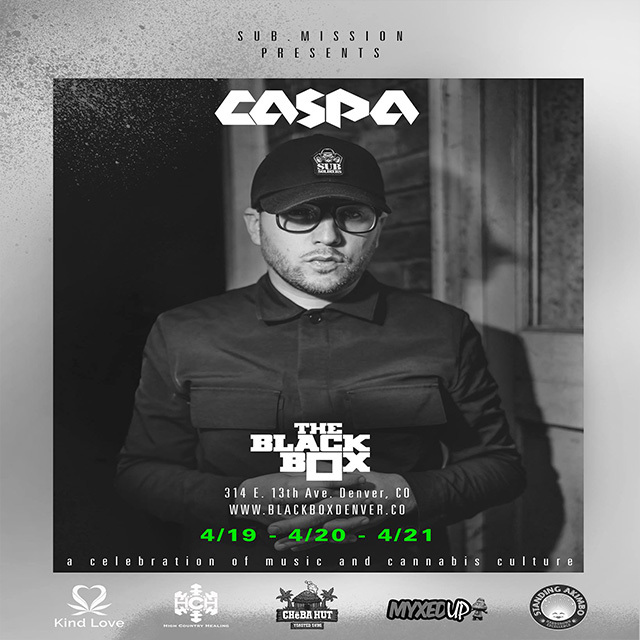 The Black Box in Capitol Hill has teamed up with several other local businesses to present three nights of 420 celebrating with London producer Caspa, and some very special guests. Complete with catering from Cheeba Hut, meet-n-greet opportunities, a dab bus, and of course dope performances, this is looking to be a great time full of surprises. With three nights to choose from we highly recommend working at least one night at The Black Box into your 420 weekend itinerary. For tickets and info click here. It wouldn’t be a real 420 celebration without Uncle Snoop. 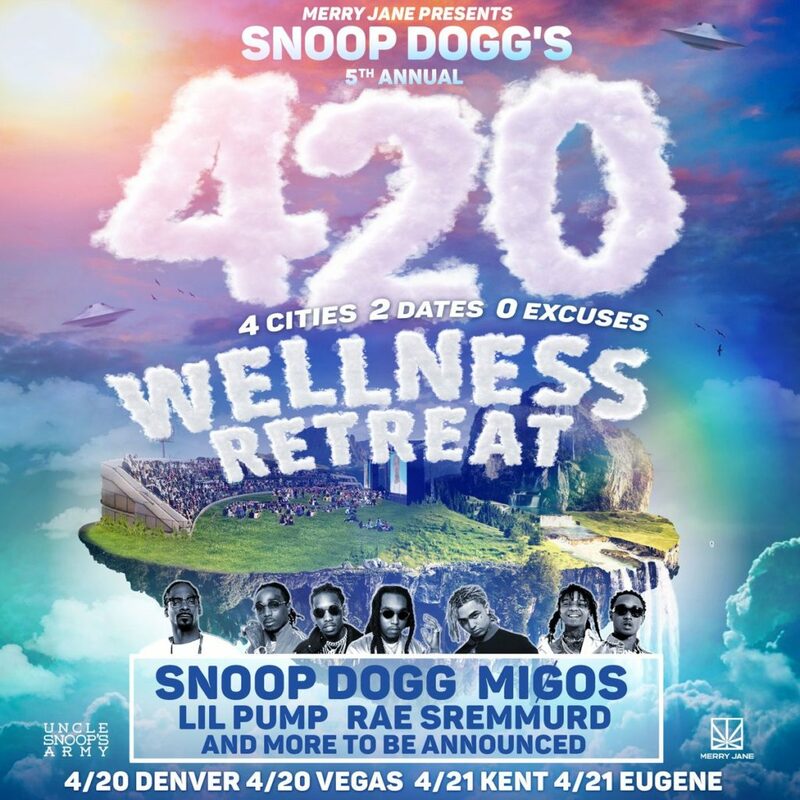 The West Coast weed legend is making history doing four shows in two days in four states for his very own 420 Wellness retreat. Denver is one of the lucky cities that will host Snoop, along with friends Migos, Lil Pump, Tiara Thomas and one of our favorite young artists Rob $tone, all set to take the stage at Fiddlers Green Amphitheater on the night of the 20th. For tickets and info click here. 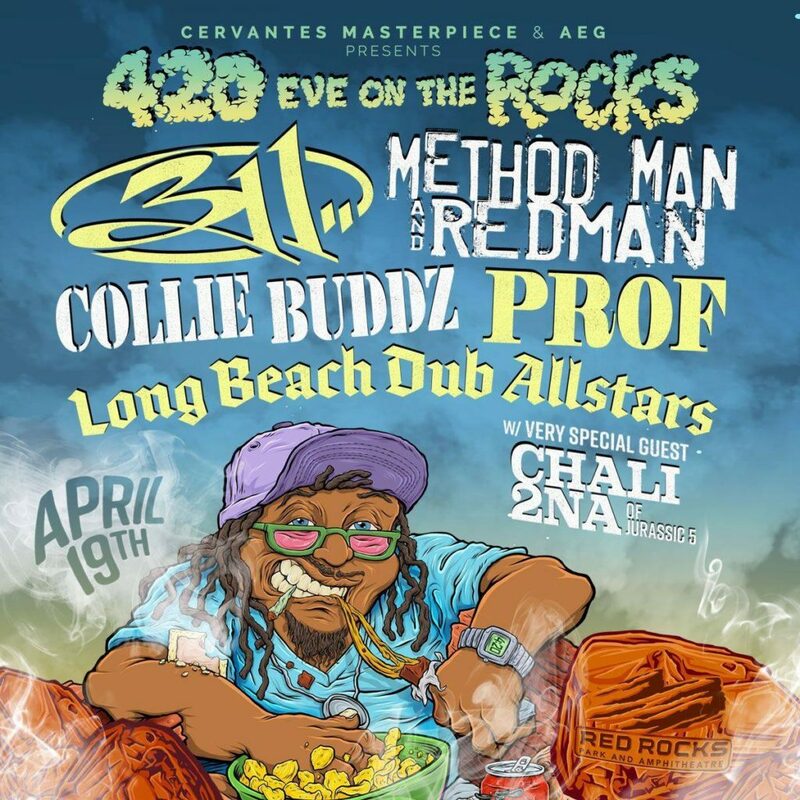 Those who can’t make it to 420 Eve On The Rocks, fear not! 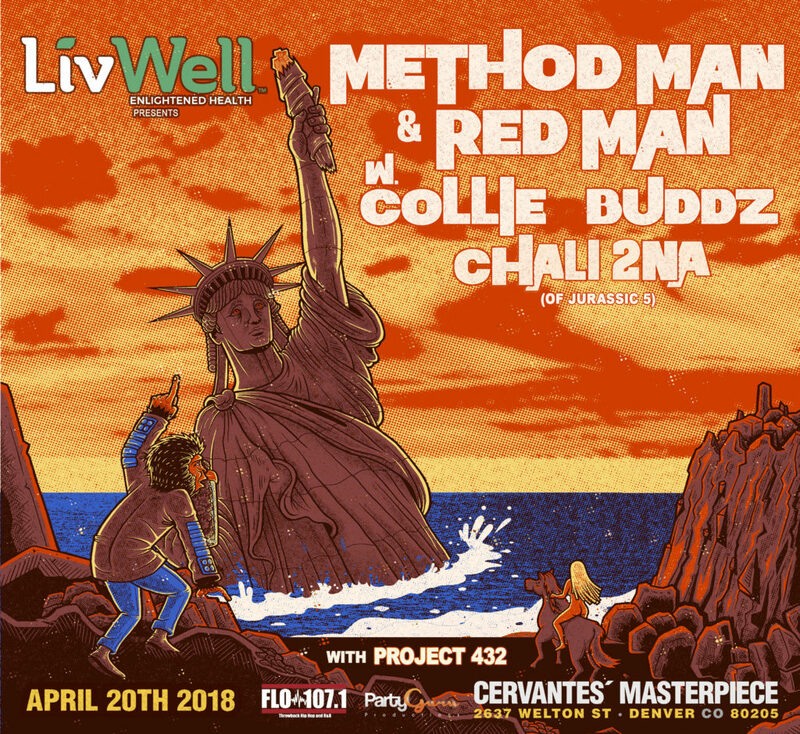 Cannabis kings Meth & Red, as well as Collie Buddz & Chali 2na are performing on 420 night at one of our favorite venues, Cervantes Masterpiece Ballroom, near downtown Denver. With this lineup in such an intimate spot, this show is a sure sell out, so get tickets while you still can if you want to make the cut. For tickets and info click here. Unlike the other festivals on this list, HDYFEST isn’t a cannabis themed event. Regardless, it’s still 420, and it’s still Red Rocks, so there’s gonna be plenty of weed in rotation. With the majority of the parties happening this weekend being hip hop centric, this show should be a nice change of pace with a lineup of energetic producers. 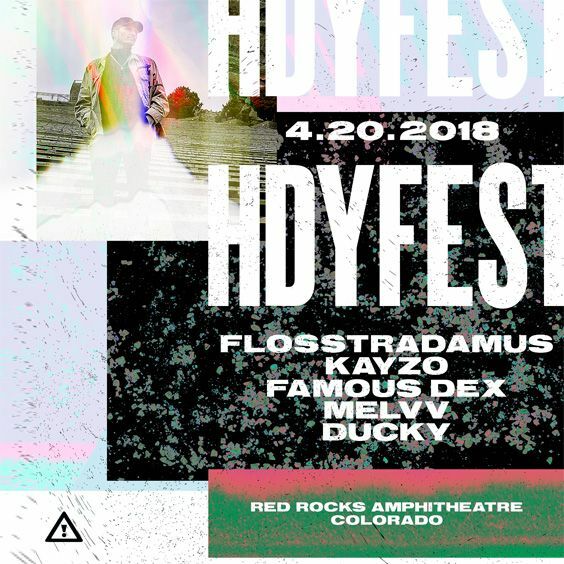 Flosstradmus always throws down as does Kayzo the other DJ’s on the bill, plus if you still haven’t had your rap fix for the weekend, rising artist Famous Dex will be there to round out the vibe. For tickets and info click here. You can’t have a conversation about weed rappers and leave out Afroman. 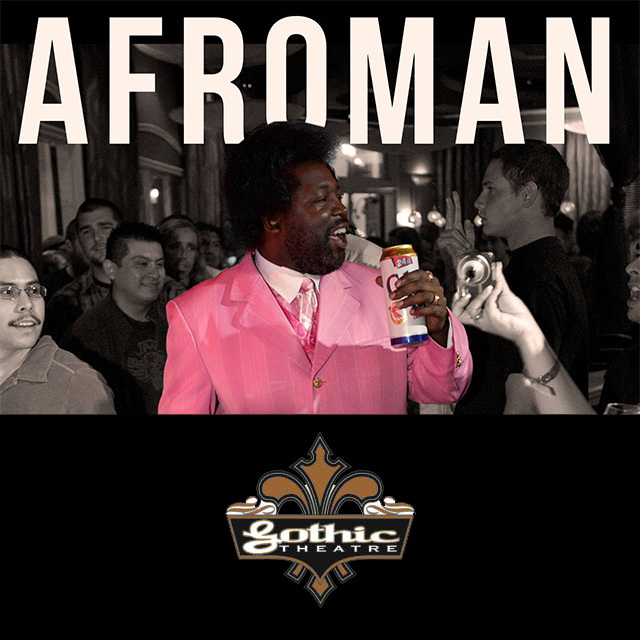 Almost 20 years after releasing “Cause I Got High” & “Coult 45” the California native has a cult following and is still coasting off the massive success of the hit singles.While his days in the mainstream spotlight may have waned, Afroman has remained a staple of the scene, with the live show to prove it. Incorporating hilarious antics, and some occasional acoustic guitar playing into his sets it’s always a blast, and the crowd knows every word. Being that it’s also 420, this should be an extra special night to catch the legend. For tickets and info click here. 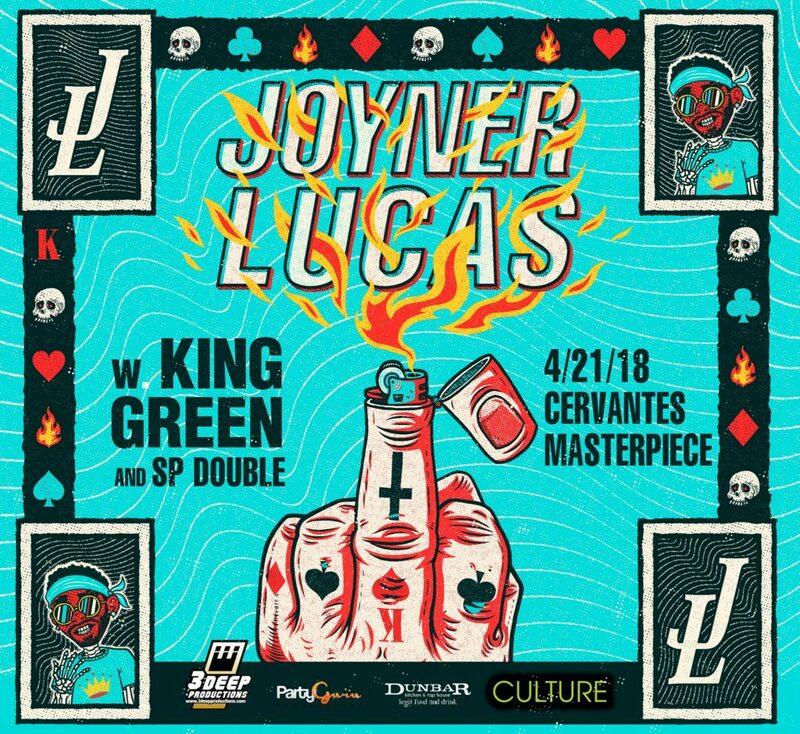 Last but certainly not least, is Joyner Lucas at Cervantes with support from King Green and SP Double for the Official 420 On The Block Afterparty. Joyner isn’t necessarily known as a weed smoker, but if you’re serious about rap, this is the do-not-miss event of the weekend. Joyner is one of the loudest buzzing names in the game right now, and for good reason. He’s got serious bars, and a whole lot to say in his thought provoking songs. He’s been having a great year releasing lots of new music, and we expect the momentum to flow into an extra live performance.For tickets and info click here.